One bedroom condo available for rental in Kihei, which is on the western side of Maui. On the fourth floor of the Plumeria Bldg with an oceanview and great for whale watching. Right on the beach with a large lawn. Parking space included. Has just been completely re-painted with accent walls and crown molding as of July 2018. Center on Piikea Ave and Hwy 31. Located at the 'Village By The Sea' complex, also known as Kauhale Makai. The condo has been upgraded in the kitchen and bathroom, along with new furniture and appliances. It has a queen size memory foam bed in bedroom and a queen sofa bed in the living area, so four people can sleep comfortably. Also, there is a queen size inflatable mattress. There are plenty of towels and linens, cooler, beach umbrella/chairs. Please see the new pictures. Minimum length of stay 5 nights. Do let me know if you are interested and I can answer any questions you may have? Also, my on-island Representative is Maui Condo and Home at 800-822-4409. I am pretty well traveled I guess and try to get over to Maui as much as I can. This is a great central location in Kihei, close to everything while you are here and my favorite place to stay on the island. I am sure you'll enjoy my place and keep on adding stuff to make your stay as comfortable as possible. Laundry room on each floor of my building close to my unit. There is usually a selection of spices and condiments which will be handy for grilling etc. It has everything you will need; pots, pans, dishes and silverware. Blenders, rice cooker, toaster, coffee maker. Some condiments and spices. Mostly romance novels and a few others. There are 2 courts next door at Luana Kai which you will access to. Condo is very nice. Some improvements would make it nicer. We stayed 6 weeks and felt like having the proper cleaning equipment would have made it nicer. Bed is very comfortable. Bathroom was clean. Kitchen could have used some additional equipment but basics were there. We loved having a view of the sunrise and the sunset from our lanai. Construction of the complex was an annoyance but hopefully it will be finished soon. Love the Village By The Sea complex. Wonderful community of people and since this is our fourth year there we have made many friends. Awesome place, great management team, best trip ever! The place was very nice, clean and great location with beautiful ocean view. Short walk to restaurants, bars, shopping. Management team at Maui Condo & Home were very helpful, as were the staff in the office downstairs. Rob (the owner) was a pleasure to deal with and we are already planning our next visit. Highly recommend! Thanks so much Eric for your kind words and enjoyed working with you . Please get in touch if you'd like to stay again. 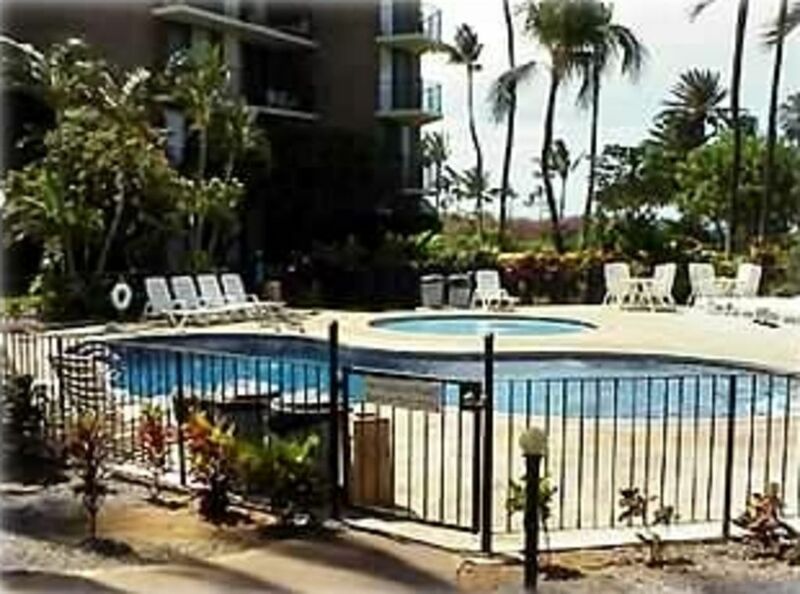 This is our third time staying at this complex (kauhale makai) and our second time staying in this specific condo! First of all, the unit is super clean and comfortable and roomy for a one bedroom! We travelled with our toddler and infant, and there was plenty of room for all of us. The decor is not modern which makes it even better, it has a vacation getaway feel to the decor and furniture. The air conditioning works great, and the view is awesome. There’s a tv in living room and one in the bedroom. The place is well stocked with almost everything you would need. Some beach items are also available. The owner has some comfy chairs on the lanai which we made good use of for meals and morning views. One great thing about this location is they have an adult pool as well as a kids wading pool and also a hot tub; this area is rarely busy, and the guests and residents are very friendly. Did i mention also how accommodating and responsive the owner is. The longest it ever took for me to get a reply was a few hours, and he makes everything very easy. Would rent a property from him every time if i could. Thanks again for another great vacation! We will back! Thanks so much Julie and hope to have you again to stay! The property is as advertised. It is in a great location where one can easily access local attractions. What a wonderful condo! Highly recommended!! With the exception of a mix up with the door code my stay here was perfect. The condo has everything and more including a comfy bed. Rob, the owner, is responsive and accommodating as well. Great location too, central to everything. I would definitely stay here again. Thanks Alison and will have a additional location for you to consider next time too. It was a lovely experience! We enjoyed our stay! The place is very convenient, quiet and relaxing! We love watching the sunset and strolling on the beach! The room was cleaned when we arrived. We had everything we needed! The stores and shops were nearby! Thanks for your feedback and please let me now if you'll be coming to Maui again? Shuffle Board; a short walk down the beach to the Pacific Whale Foundation. Rates are negotiable depending on the length of stay CANCELLATION POLICY: Minimum 14 day notice is required. Please ask for full refund policy which will be included on your confirmation.